Do you want to know the secret behind building a tribe of thousands, that is ready and waiting for you to light the way for them? Just 4 years ago, I began using social media to call in my tribe of soul sister CEOs. What I didn’t realize, was that I was making some serious no-no’s- and missing out on creating the massive impact I knew I was meant for. Too afraid to share my voice with content that felt authentic to me. After well over 2 years, I had under 3K followers, and engagement I was working way too hard for. After learning the secret to calling in my tribe, I have a growing tribe of over 32K, incredible daily engagement + a conversion rate that the former me only dreamt of. I have created a multiple six-figure business in the process, retired my husband + have helped thousands of women around the globe transform their lives. Expand your tribe while creating authentic relationships with the people waiting to hear your message? Zero in on ways to strategize and map out your weekly content and avoid overwhelm and content paralysis? Learn how to strategically engage your audience through calls to action and content that connects? Be 100% YOU, while bringing in paying clients in the process? How to inject irresistible calls to action into your everyday posts that spark engagement and soul connection. The specific equation for creating viral content you can start using right away. We’ll talk about the anatomy of a viral post and why sponsored posts *never* go viral (and how to think about creating posts that will be irresistible to your ideal clients). The #1 mindset shift you need to call in your tribe. Then I’ll show you the filter you should be running ALL of your content through. I crack the code on exactly what it is and why anything that doesn’t go through it will leave your tribe feeling like they’re being sold to, instead of connected with. How to choose which social platforms are right for your biz. 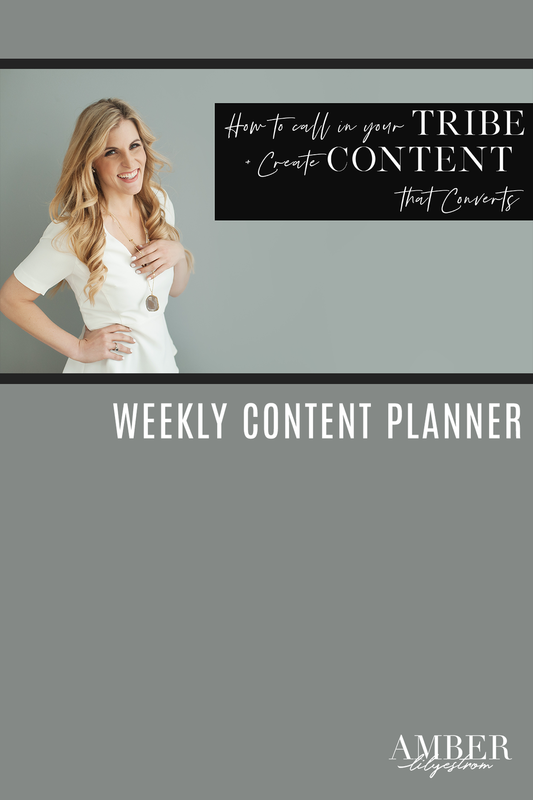 How to create a content calendar that removes overwhelm and helps you focus on connecting with you tribe, not on when to schedule posts. The specific tool I use every week when I am creating content for social media + connecting with my tribe. When you register for this training series, you will receive my guide to implement in your brand + biz. transforming the way you're showing up online. Register here + check your inbox for an email with all of the deets!